This week’s minorities in cartoons entry is Lightning Lass (real name: Ayla Ranzz), a DC Comics superheroine. Ayla’s a member of the 30th/31st century superhero team the Legion of Super-Heroes. Ayla first appeared in “Adventure Comics” #308 (May 1963). Edmond Hamilton and John Forte created Lightning Lass. Later, Ayla altered her powers through scientific means. She spent a long stretch as “Light Lass,” possessing anti-gravity powers and the ability to alter objects’ mass. By the 80s, however, she’d regained her original lightning powers (after a battle with Mekt). During the mid-to-late 80s, Ayla became increasingly close to fellow Legionnaire Shrinking Violet. (She’d previously dated Timber Wolf, another Legion member.) By the early 90s, it was all but officially stated the two were a couple. However, 1994’s “Zero Hour” storyline retconned the original Legion out of existence. Post-“Zero Hour,” Ayla (now “Spark,” very briefly her sibling’s post-ZH name “Live Wire”) didn’t seem to have any relationship with Vi. However, after the 2006 “Infinite Crisis” miniseries, the original version of the Legion was brought back into canon (through convoluted means). Subsequent stories showed Lightning Lass and Shrinking Violet were a couple again. 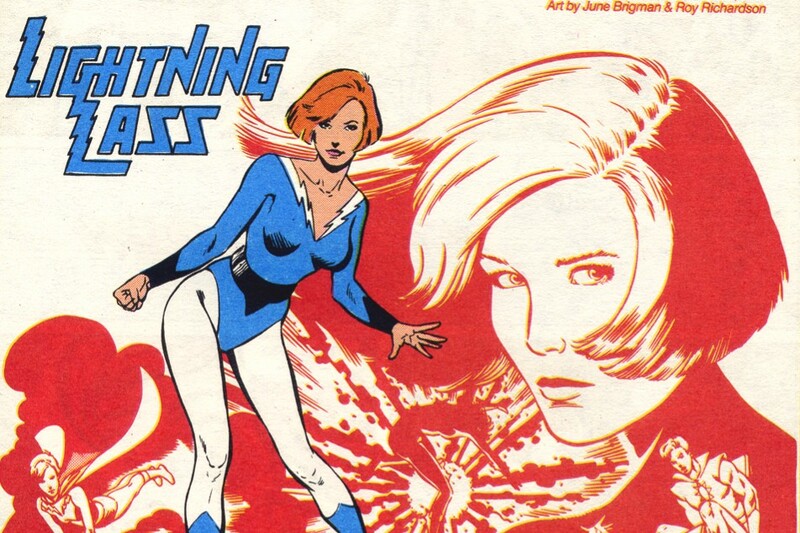 Lightning Lass appeared as a non-speaking cameo in a “Superman: The Animated Series” episode. Ayla’s first extensive media appearance was in the “Legion of Super-Heroes” animated series; however, she wasn’t a superhero in this series. Voice actress Kari Wahlgren voiced Ayla.